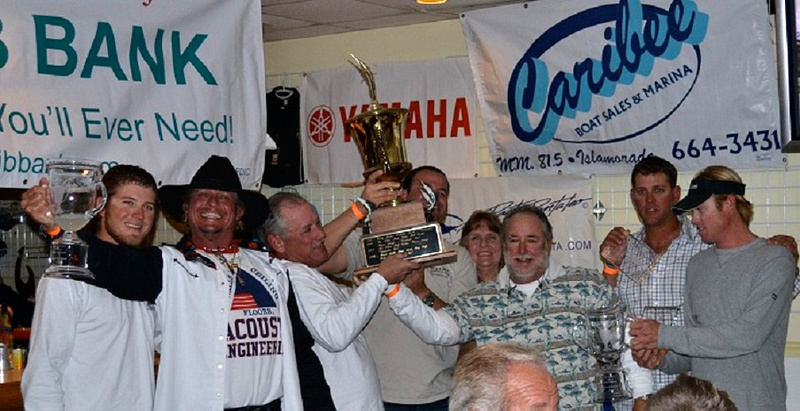 23 was the magic number in the Florida Keys Gold Cup Sailfish Championship series. All three of the top boats released a total of 23 fish and the winning order was determined by who caught the 23rd fish first. Captain Alex Adler led anglers Jimmy Verner of Duck Key, Anthony DelDuca of Naples FL, Joe Flynn from Greenwood SC, and Josh Ardis of Grassy Key FL to a victory in the Series. The Islamorada Sailfish Tournament was the first leg of the series and the team aboard the Kalex released 15 Sailfish placing them 2nd, with 5 releases in the Cheeca Lodge Presidential Sailfish Tournament the team still found themselves one fish behind the Reel McCoy. 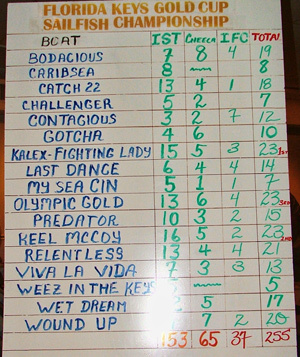 It would be the final event of the series, the Islamorada Fishing Club's January Sailfish Tournament, that would land team Kalex/Fighing Lady a first place spot. The team released 3 Sails in the event giving them a total of 23 Sailfish and winning on time. Second Place would go to the Reel McCoy. Anglers Larry Amyotte of Silver Springs FL, Sean Smith from Pompano FL, Steve Spatenga and Glen Kapoosuzian both from Freeport NY, Kiki Ferrer from Key Largo FL and Justin Miller if Islamorada FL would release 23 fish as well. The team released 16 fish in the Islamorada Sailfish Tournament, 5 sails in the Cheeca and 2 in the Islamorada Fishing Clubs tournament. Finishing in third place in the Gold Cup Championship last year the Reel McCoy is already hoping to move up one more spot in 2012. Olympic Gold would take home Third Place honors. The Olympic Gold's captain J.C. Cleare led the team to 13 Sailfish Releases in the first leg of the series. Anglers Max Tower and Reggie Rodriguez of Miami FL along with Fulton Ivy of Palmetto Bay FL and Doug Mientkiewicz from Coral Gables would have 19 releases by the end of the Cheeca Presidential Tournament. It would be the final four that the team released in the last event that would land them a place on the winners list. It would be a close battle for the much sought after Championship ring as well. Doug Mientkiewicz of the Olympic Gold had 9 releases by the end of the Cheeca tournament. Last year's ring winner Bill Danko aboard the Wound Up had 10. Both Bill and Doug would release all the fish each team caught in the Fishing Club final event. In the end Doug would release a total of 13 sails putting the ring on his finger at the awards ceremony. In total 225 Sailfish were released. 17 teams with 74 anglers participated in this seasons event. 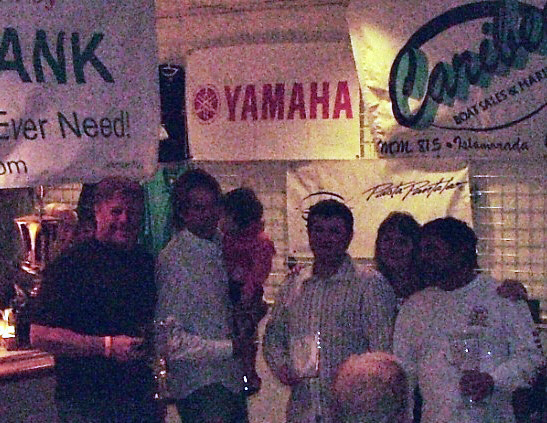 The Florida Keys Gold Cup Championship Series is a fund raiser for the Islamorada Charter Boat Association. 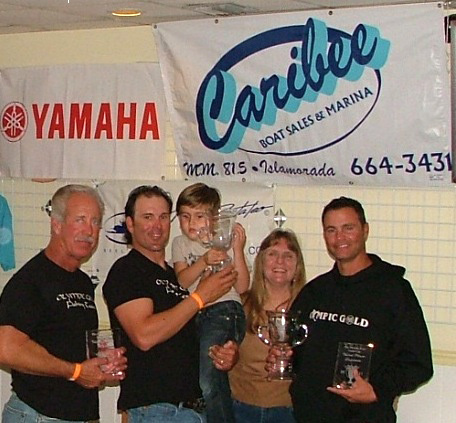 The Series would like to thank the major sponsors, Caribee Boat Sales and Yamaha Outboards for their continued support. 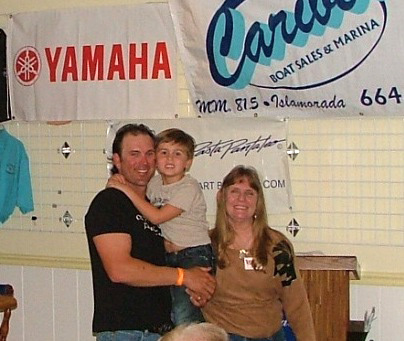 The hosts of the events included Whale Harbor Restaurants and Marina, Cheeca Lodge and Spa and the Islamorada Fishing Club. The series will be kicking off again next year with the Islamorada Sailfish Tournament December 1st. For more information on the series contact Dianne Harbaugh at (305) 852-2102.